Easter Bank Holiday Class Times. There will be no Monday classes on 22nd April at the Parsonage, due to the Easter Bank holiday. The Tuesday Yin yoga class on the 23rd will run as normal. I hope you have a relaxing Easter break. For many people yoga classes offer that calm, safe space. A place to replenish physically, emotionally and spiritually. All weekly drop in yoga classes are held at The Didsbury Parsonage, a beautiful Grade II listed building set in a magical secret garden. As you sit on your yoga mat listen to the birds outside and bathe in the warmth of the sunlight pouring through the window. Breathe slowly and relax into a deep state of calm and relaxation. 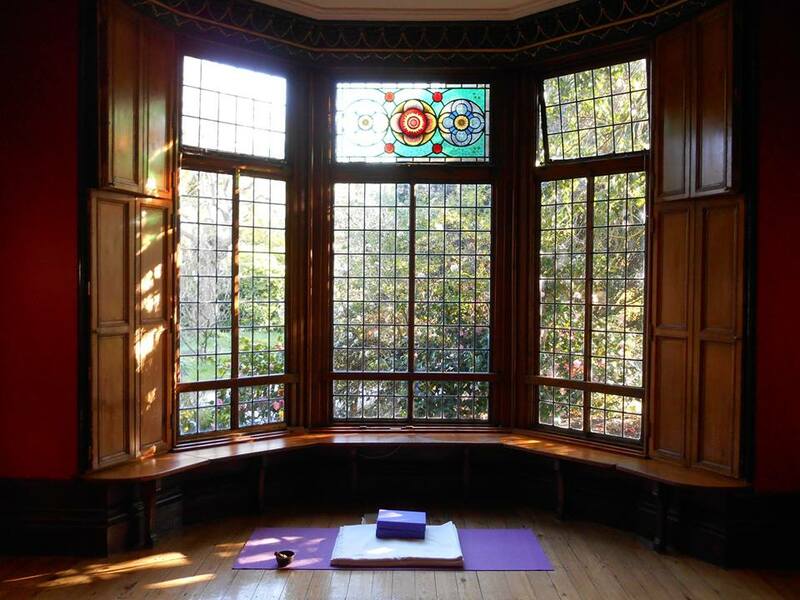 Wellbeing venues voted the Didsbury Parsonage one of the 10 most Beautiful Venues to hold a Yoga Class in the Uk. The mixed level class is more of a challenging class suitable to students who already have a grounding in basic hatha yoga postures. 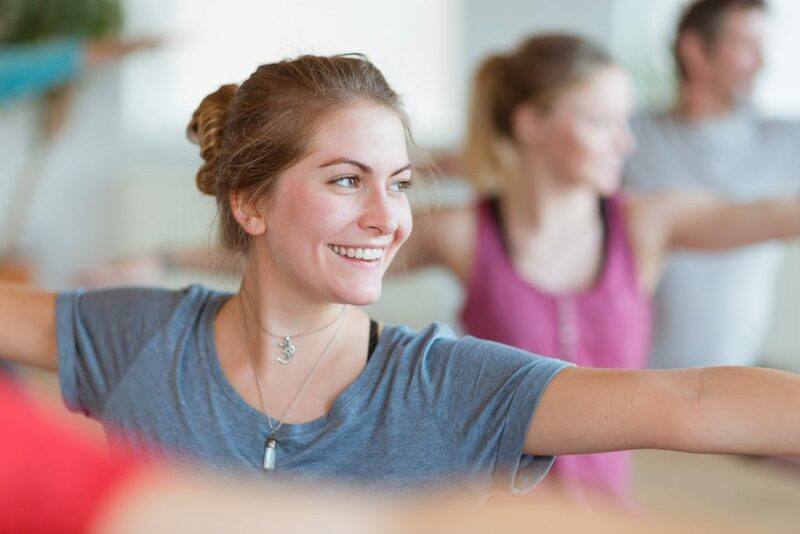 Explore classical hatha yoga postures in a safe and supportive environment where students are encouraged to listen to their own body and go at a pace that is comfortable to them. The class will focus on building safe alignment infused by clear anatomical understanding. exploring a mixture of dynamic yang style flowing sequences and more stilling Yin style postures. Learning how to relax into a deepening awareness of our body, breath and heart. The beginners class is an ideal class for anyone absolutely new to yoga or wishing to refresh basic foundation principles. Explore classical hatha yoga postures in a safe and supportive environment where students are encouraged to listen to their own body and go at a pace that is comfortable to them. The class will focus on building safe alignment infused by clear anatomical understanding. Explore a mixture of dynamic yang style flowing sequences and more stilling passive Yin style postures. Learn how to relax into a deepening awareness of our body, breath and heart. Explore the deeply relaxing practice of Yin yoga, focusing on restorative and meditative practices. An opportunity to turn inward, slow down and soften more deeply. This approach focuses on more feminine qualities through longer, passive held postures, it aims to relax our musculature and work on the connective tissues, stimulating also our subtle energy systems within the body. Yin yoga is a perfect balance to a more ‘yang’ style dynamic practice, and can have a deeply relaxing effect and offer deep peace within the stresses of a busy urban life.